In 1865 Charles Marville was retained by the Historical Works Commission to make a record of Paris before it was destroyed by major new town planning projects. In this comprehensive volume, his unique documentation of one of the world's greatest cities is chronicled and superbly reproduced. It encompasses a broad array of parks, garden squares, lamposts, benches, pissoirs, picturesque views from the 1850's, and sections of the Bois de Boulogne. 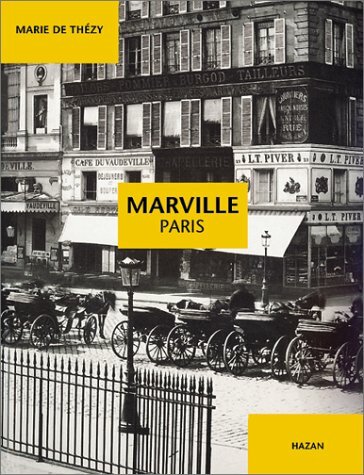 Identical in format to Atget Paris, Marville's Paris presents another extraordinary vision of this wonderful city.